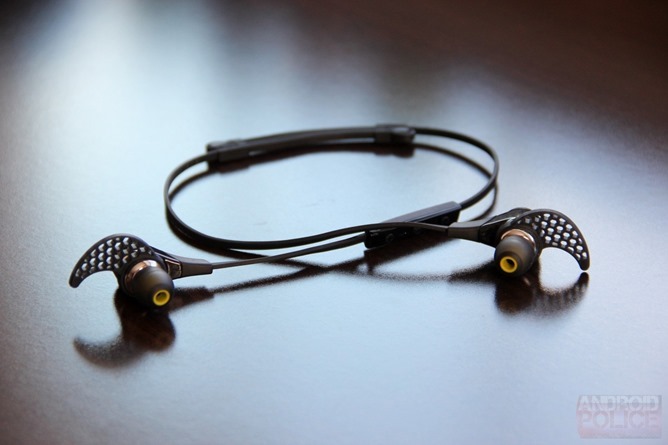 If you're looking for a pair of Bluetooth headphones that are designed specifically for working out and other active pursuits, you couldn't do much better than the BlueBuds X from JayBird. The company has released a second generation of the headphones, but the originals are still quite good, and they're available with respectable discounts. Right now Amazon has them for as low as $89.99, at least if you buy from the right vendor, Amazon's listing (close to the top) on this page. That's the lowest price for the headphones that we've seen yet. There's a bit of a catch: that particular vendor, which is selling the white version of the Gen 1 BlueBuds X, is out of stock right now. But you can still pay and wait for stock to return, and Amazon Prime shipping is available when they come in. If you don't want to wait (or you don't want the white model), the regular listing also has the black version on sale for $101.99 with Prime shipping, a little less than $70 off of the original retail price. It's also about $80 cheaper than the newer X2 model. Artem reviewed the BlueBuds X two years ago and found the features and build quality excellent. His only complaints were that it's difficult to tell what the charge level is, and the price... which is pretty much fixed with this discount. It doesn't appear to be a timed sale, either, so the price on the older model might continue to drop in price if you want to wait.